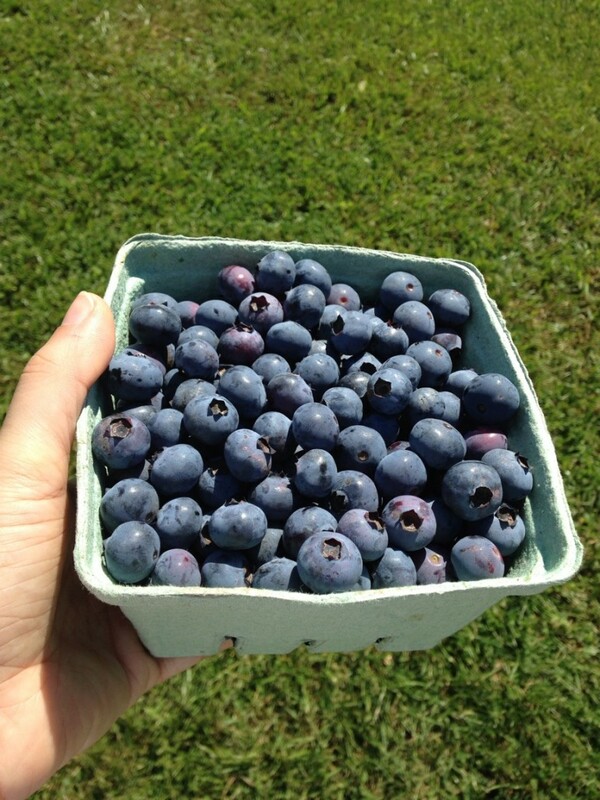 We will be open for u-pick blueberries on Friday 6/15 from 9 to 12 noon. We plan to be open again on Sunday afternoon 6/17 from 2pm to 5pm. The way it works: We try to balance the ripe berries (so there are enough for everyone who shows up), the weather (not raining or excessively hot and humid) with the opportunity to come to the farm and pick. This is not a perfect system. We have containers. We sell by the pint and quart (not weight). The prices are the same as last year and for the many years before that. You pick and then pay the farmer $4.00 a pint and $8.00 a quart. The containers are full when the berries are level with the top of the container. Overfilled containers cost more. Things to keep in mind. No toilets (so plan ahead). Bring a water bottle picking can be thirsty work. We don’t take credit cards. Cash or a check payable to Blueberry Gardens will do the trick. No smoking anywhere on the farm. If you have any questions that were not covered above just hit the CONTACT tab and send us an email.